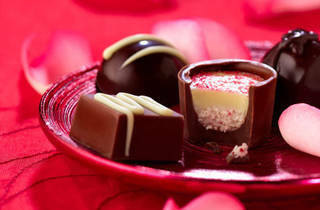 A Valentine's Day Chocolate Tasting! In conjunction with the Save the Planet Brigade workshop series, the Bank Street Bookstore is hosting a tasting of shade-grown organic chocolate from the rainforests of Belize. Kids can nibble on the sweet stuff while learning about where it comes from, and how to protect the planet. All ages.